Rohini Nilekani is Founder-Chairperson, Arghyam, a foundation she has personally endowed to fund initiatives in ‘Safe, Sustainable water for All’. Since 2005, Arghyam has supported work in water and sanitation all around India. Arghyam also facilitates the India Water Portal, which has become a singular resource for the sector. In 2014, together with her husband Nandan Nilekani, she co-founded and is a Director of EkStep, an education non-profit that has created a technology platform for early learning. In 2004, she co-founded and funded Pratham Books, a non-profit children’s publisher, which aims to democratize the joy of reading with ‘A book in every child’s hands’. By the time she retired as Chairperson on December 31st, 2013, Pratham Books had reached millions of children with indigenous, attractive books in multiple languages. Rohini sits on the Board of ATREE- Ashoka Trust for Research in Ecology and the Environment, an environmental think tank. She is on the Eminent Persons Advisory Group of the Competition Commission of India. Between 2010 and 2012, she was a member of the Audit Advisory Board of the Comptroller and Auditor General of India. Earlier, she spent several years as a journalist, and has worked or written for many leading publications such as Bombay Magazine, India Today, MINT and the Times of India. Her first novel, Stillborn, a medical thriller, was published by Penguin Books. In 2008, she anchored a television show called Uncommon Ground for NDTV, which created a rare dialogue between top leaders of the corporate and social sectors. A book based on the show was published by Penguin Books India in 2011. Under the pseudo name ‘Noni’, she has also authored several books for young children, including the popular Sringeri Srinivas series, published by Pratham Books. As a committed philanthropist, she continues to fund work in areas such as governance and accountability, independent media, education and research and environmental sustainability. 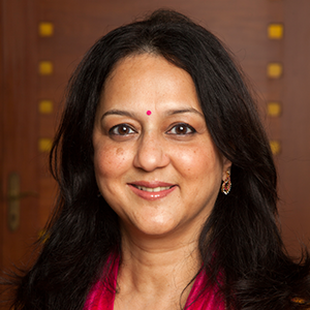 Rohini Nilekani is an active advocate for Indian philanthropy.